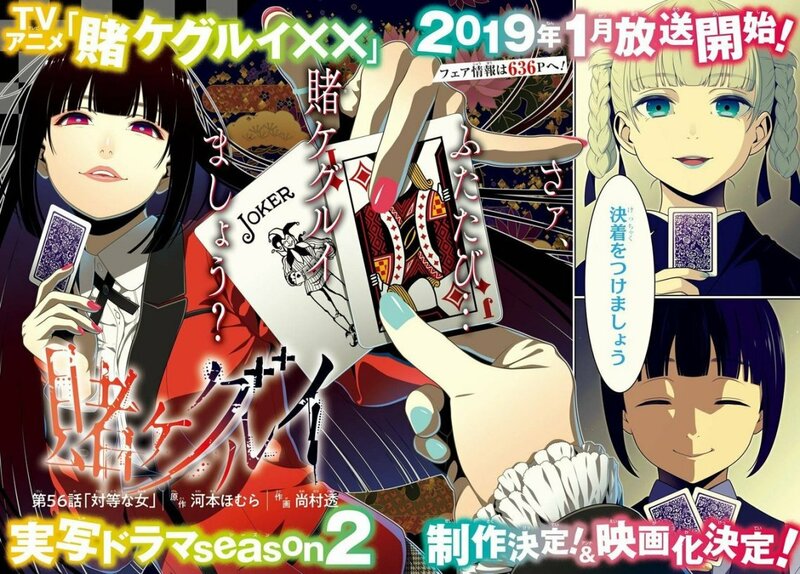 Get ready for more gambling action and yuri vibes as the second season of Kakegurui will be aired in Japan on January 2019. This was confirmed in a recently released magazine scan (image above). Kakegurui (also known as Kakegurui – Compulsive Gambler) is based on the manga series written by Homura Kawamoto and illustrated by Tōru Naomura. The anime adaptation first aired from July 1 until September 23, 2017. The franchise also has a live-action adaptation and a live-action film both slated for a Spring 2019 release . You can watch the first season anime via the premium video streaming platform Netflix.